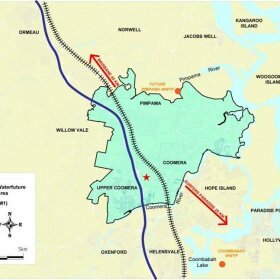 Pimpama Coomera Waterfuture (PCWF) Master Plan is one of the nationally leading projects for change in the Australian Water Industry. The Master Plan creates a truly sustainable community that leads the nation in integrated urban water management - the primary outcome being the reduction of the demand on drinking water for new houses in this region by 84%. 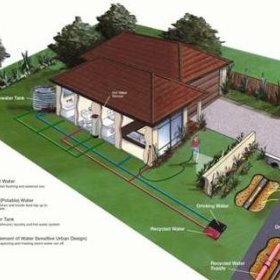 This is being achieved by the introduction of recycled water and rainwater into the household. This project is unique in that it is not only about the building of infrastructure, but also about the changing of State, Local, and Community thinking and processes in the sustainable use of water within the home and the community through integrated urban water management. This nationally leading project demonstrates the adaptability and robustness of project management methodology in the delivery of non-construction type projects. The project further demonstrates that project management provides a highly effective and disciplined process to implement change, in this case, massive shifts in the water industry, the organisation and the community at large. Without the disciplined framework of project management it is questionable whether this project would have been successful. Total cost of the implementation of the Master Plan is approx $200 Million with the Programme Management component at an approx cost of $50M.